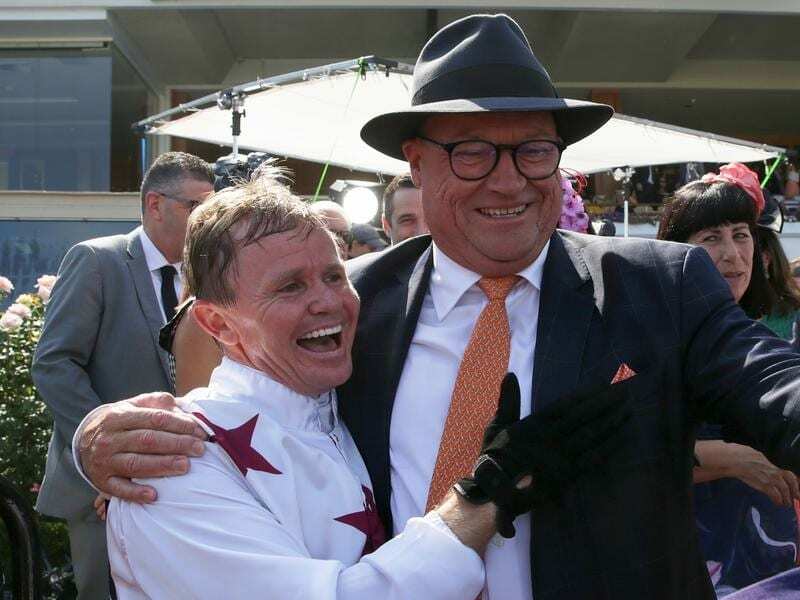 Trainer Tony McEvoy (right) has praised jockey Barend Vorster for his coolness under pressure. Former Singapore-based South African rider Barend Vorster has continued his remarkable start to his Australian career, guiding Vinco to victory at Mornington. Vorster came to Australia to ride for Tony McEvoy as his Adelaide-based stable rider and, after arriving earlier in the month, has notched six winners from 14 rides. Among his winners was Sunlight in the Group One Newmarket Handicap at Flemington, which preceded his move to Adelaide where he’s made an immediate impact including a midweek double at Balaklava. “It’s nice riding these quality tracks,” Vorster said. Vorster partnered the McEvoy-trained Vinco ($7.50) to take the Mornington Sires’ (1500m) on Saturday and the jockey said having a previous ride on the colt had proven beneficial. McEvoy praised Vorster for his coolness after being undecided prior to the race as to how it would be run. “We didn’t know how to map this race being the first time out to this trip,” McEvoy said. McEvoy thought Vinco’s race experience was crucial in the final stages as he ran out a half-neck winner over Power Scheme ($5). “He’s been a bit fussy and I’ve contemplated gelding him a couple of times,” McEvoy said.